Replacing Wood with Plastic and…Peanuts? Every year 3.5 to 7 billion trees are cut down to supply us with lumber, and 8 million metric tons of plastic end up in the ocean. One company sees a way to potentially fix both of these problems…with a little help from our favorite ballpark snack: peanuts! Athyron, a Texas-based manufacturer, is using their own patented technology to produce Miura Board, a product that is a durable, 100% recycled alternative to wood. The polyolefin plastics (HDPE, LDPE, PP, etc) used in creating Miura Board are sourced from recycling companies (rather than post-consumer local recycling centers), and are are combined with synthetic fibers such as nylon from recycled carpet, or natural fibers from things like peanut shells. The combined material is extruded, cooled and than processed into planks. While this process may sound like new technology to us, these synthetic planks have been used in Brazil and Argentina for more than 10 years. In that time the material has shown to be water resistant, a natural insulator, immune to termites and even act as a sound barrier. Best of all Miura Boards don’t rot and can be reused and recycled. These qualities make these engineered boards the perfect choice from everything from doors, and lawn furniture to boardwalks and docks – or any other application that would benefit from water resistance. If Athyron and their Miura Boards are a success it could be a valuable step to reducing waste and conserving our natural resources! 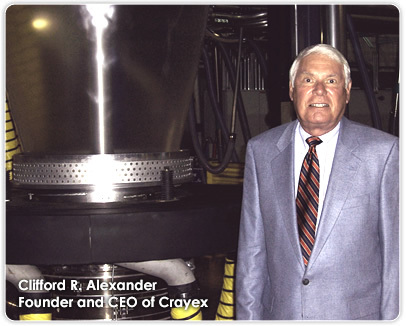 Learn more about Crayex, Inc.
Crayex was featured in the Miami Co. Business & Industry Guide! “Cheers!” to the Flat Plastic Wine Bottle That’s Perfect for Shipping!